Gift giving is one of my love languages. I attribute this to my mother who is the best gift giver I know (go Mom!). What I’ve learned from years of watching her choose and give gifts is that it’s all about thoughtfulness. You have to get into the recipient’s mind and find the gift that is perfect just for them. I’m sure we’ve all experienced a BAD gift more than once! A bad gift is usually the result of a thoughtless giver. I know that sounds kind of harsh, but when giving a gift you shouldn’t ever have your interests in the equation. Just because you like something (even if it’s stylish and cute) doesn’t mean it will fit the other person’s style. So, in the spirit of thoughtfulness, my first gift guide of the season is all about unique gifts that will wow whoever opens it! You might remember when I featured this tee and the company, Siizu, in my sustainability post. 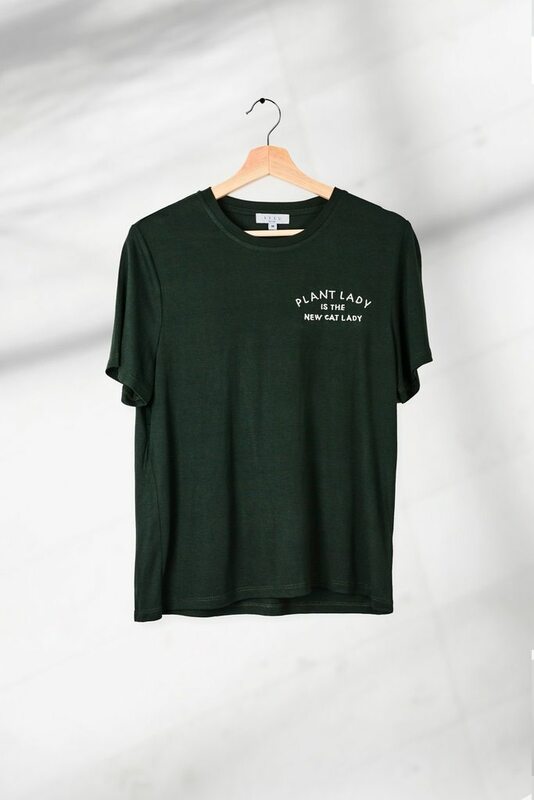 So not only is this tee stinkin’ cute it’s also sustainability made, which all plant ladies will appreciate. Book of the Month is one of the best subscription services I have ever had! 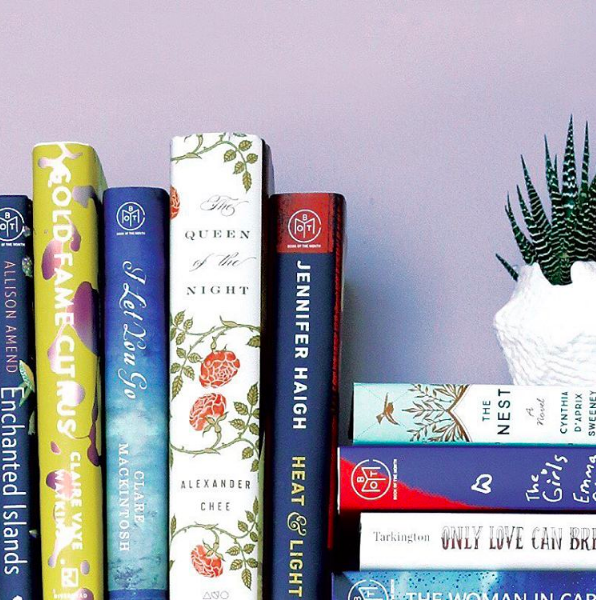 Each month’s five book options are stellar, so stellar it’s almost too hard to decide which one to pick. Gifting a three, six, or twelve month subscription would make any reader's heart burst! Who is this perfect for? The book lover! Winter brings many joys but one thing that isn’t so joyous is dry skin. Dry face, hands, legs, pretty much our whole bodies are dry wastelands during the winter months but oils are our saving hope! Milk + Honey’s Everything Oil is loaded with rich oils that hydrate and can literally be used for…everything. Who is this perfect for? Beauty junkies and/or the “au naturale” lady. Que Bottle is everything you’d want in a reusable bottle. It’s collapsable for easy storage, BPA-free, dishwasher safe, and most importantly doesn’t make your water taste like weird (I have one so I would know!). And it comes in 15 different fun colors to choose from for your friend (or yourself). Who is this perfect for? The health nut and outdoorsy campers in your life. Perfume always seems to be a go-to for the holidays, but to give this aged cliche a unique spin, gift one of these beautiful natural perfumes from Skylar. They have amazing holiday sets that allow you to try out all their samples and then order a full size! My favorite thing about Skylar is how well they layer. My favorite combos are Isle and Coral or Coral and Capri. Who is this perfect for? Anyone who needs some pampering - aka all moms everywhere! Candles are perfume for the home and like perfume, candles as gifts are an obvious choice. Otherland puts a beautiful and creative spin on the traditional candle. I think you’d be hard pressed to find a more beautiful and unique looking candle. And with the it you get a fun match box which is equally as chic. Who is this perfect for? The hostess and the homebody. Six hits that are unique and sure to impress! I love all these so much I want them for myself (hint hint family). This is the first of many gift guides to hit the blog this holiday season and I promise you I’m working hard to make them more unique and fun than every other blogger’s out there! Look forward to a new gift guide every Friday until December 14th! If you have specific requests DM me on Instagram, leave a comment on this post, or send me an email. Other holiday inspired posts will be going up closer to Thanksgiving and in December like home decor ideas, what to wear to the holidays, and more. I know a lot of you are strict “celebrate Christmas after Thanksgiving” people (I am too when it comes to home decor) so I don’t want to bombard you with Christmas too soon, but I don’t think it’s ever too soon to plan out gifts, even if you don’t purchase them until later!